At the CIPD L&D Show this year, Adam and I were fortunate to be panel members on a session with the catchy title ‘Identifying The Most Appropriate Learning Technologies To Support Business Performance’ . Our panel was completed by Barbara Thompson (PA Consulting) and David Hayden from the CIPD. The four of us shared our insights into when and how to use the right technologies in L&D to get real results. What we all had in common on the panel was that we’re all firm believers of using the right tools for the job. Of course, this makes perfect sense, right? If you wanted to watch a movie with your family at home you’re likely to choose the TV, right? If you wanted to chill and keep your food fresh, you’re likely to use the fridge. This is all common sense. We’re used to using the right technology for what we’re trying to achieve in every aspect of our personal and professional lives. Is there any element of our daily lives that we pass over accountability for our technology choices to a 3rd party who promises us one tool to cover every eventuality? "This new Human Management System will drive you to work, cook your dinner, schedule your diary and entertain the kids." It seems like an advert from the 1950s – both fanciful and ultimately unrealistic, right? Also, imagine if the experience you had of each element of this one system was well below the standard you’d expect from your current set of appliances. In our personal lives, our choices of which technology to use are all based on what we want to achieve with it. Which car is bought (or leased) will depend on who will be driving it, who the passengers will be, types of usage, affordability, taste, etc. There are likely to be plenty more considerations. But with our organisation’s learning technologies, the purpose is rarely defined to such an extent and, instead, it’s ability to act like a cumbersome Swiss Army knife of a platform, in the absence of a defined purpose, is a determining factor in its procurement. "We want it to do everything because we don’t know what we might need it for in the future." "The exhibition floor of the Learning Technologies event is dominated by various forms of LMS vendors, content authoring tools and systems, and eLearning content suppliers. At the risk of sweeping generalisation, these are technological developments to simplify and add efficiency to training. They are technological places in which teams and departments can hide from digital change." The alternative for L&D is to maintain control, become focused on outcomes and build a learning technologies ecosystem that is employee-centric, solving the real problems of their clients, with full control over tools, content, and data, free to adapt any part of this ecosystem based on what their people – and organisation – really needs. Kind of how IT procure and make software available these days. Successful digital companies create frictionless end-to-end consumer experiences and are disrupting entire industries, including banking, retail, publishing, entertainment, and hospitality (amongst others). This inspires me to do the same for our employees and their development. I want to create a frictionless employee experience, from their first interaction with the company to their last. This means understanding who they are, what they’re trying to do, and mapping their journey to recognise their friction, i.e. what they’re not easily able to do in pursuit of their goals. This friction may occur in preparation for their first day; as they join the company; as they become familiar with the culture; as they find their groove; as they grow; as they seek further opportunities; and as the cycle continues. The organisations I’ve worked for are redefining consumer experiences in retail and banking, and so it’s my aim to redefine their expectation of L&D too. Disruptive companies don’t just try to ‘break things’. They see an opportunity to help people to do what they want to do but better, whether that means making things easier, faster, cheaper, or just better. I want to address employee friction in similar ways by anticipating it and then supporting and guiding employees through their moments of need. And ‘digital’ plays a huge role in that. For me, it’s all about ‘owning’ digital, in the context of L&D, rather than outsourcing it to one vendor by bringing in an LMS. I remain clear on what I want to achieve and carefully select the right digital tools to help me. On the surface of it, establishing a ‘Best of Breed’ ecosystem is harder than buying a single solution LMS. It requires performance conversations, a clear purpose, in-house maintenance, and the development of digital know-how. But the advantages are huge. For one, you can solve the real problems of the business and its people. Engagement isn’t a problem (as you’re handpicking the best specialist tools/apps to help your people to do their jobs better and faster.) 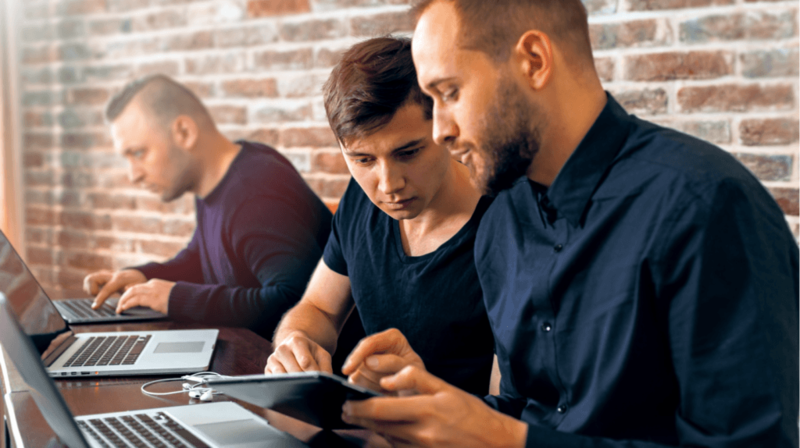 As Ollie Gardener writes in her excellent TrainingZone article  "a single vendor can’t be relied upon to keep up to speed with the advances in technology". These systems cannot possibly adapt and innovate at the rate of more specialised tools. You can also measure impact based on the demonstrable difference you made and there are no heavy investment/long contracts. If you need any more convincing, I debated the benefits of this approach at length on the Good Practice podcast . Solving real problems, for me, doesn’t mean bringing in online content where there was none before. It’s very rare that an employee asks me for an eLearning module or ‘learning content’. I’ve always been asked for help and guidance as people get familiar with their new surroundings and the culture. I’ve always been asked how they might progress their careers and prepare to succeed in new roles and asked to support changes in the way people will be working. These are the types of real problems I can address with digital. By ‘things’ it could be as simple as booking holiday days or processing expenses; to communicating with colleagues and getting the right things done. For anybody who wants to know how to progress their careers or succeed at the next level. It’s all about the cultural nuances. Friction means bumping up against something – knowingly or not – and figuring out how to successfully navigate this. ‘Best of Breed’ means you are not limited by what technology you have. If you understand the problems that are causing friction and affecting performance, productivity, and results, you can work with your clients to design the ideal solution. It’s then about designing that solution and using technology to get the requisite know-how to those who need it – and then automating it. As I mentioned before, engagement won’t be an issue. If you’re solving the real problems of your clients, they will engage. What I then focus on is to what extent we’ve solved the problem, and how we use the right tech to scale what’s worked and, ultimately, automate it. This is where the hard work of establishing an ecosystem pays off. 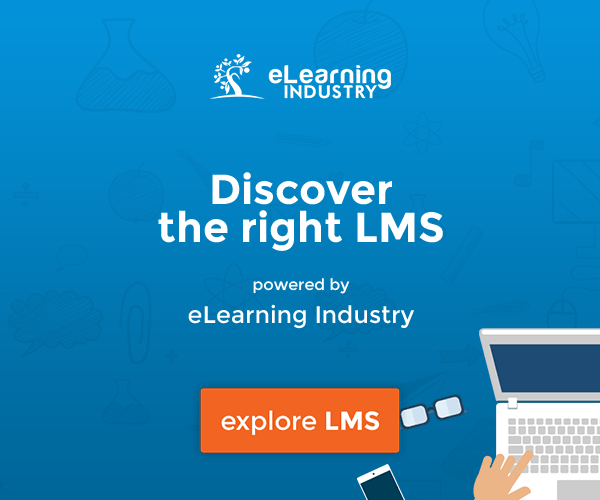 "We’ve bought an LMS and invested in all this eLearning, but how do we get people to use it?" It’s easy. Solve real problems and only scale what works. If you’ve got an LMS and no-one is using it, switch it off and see if anybody notices. If they don’t, cut your losses and invest your time and attention elsewhere. For me, it’s a no-brainer. The world will become more digital, not less. L&D will become more digital and focused on supporting individuals in what they are aiming to achieve.